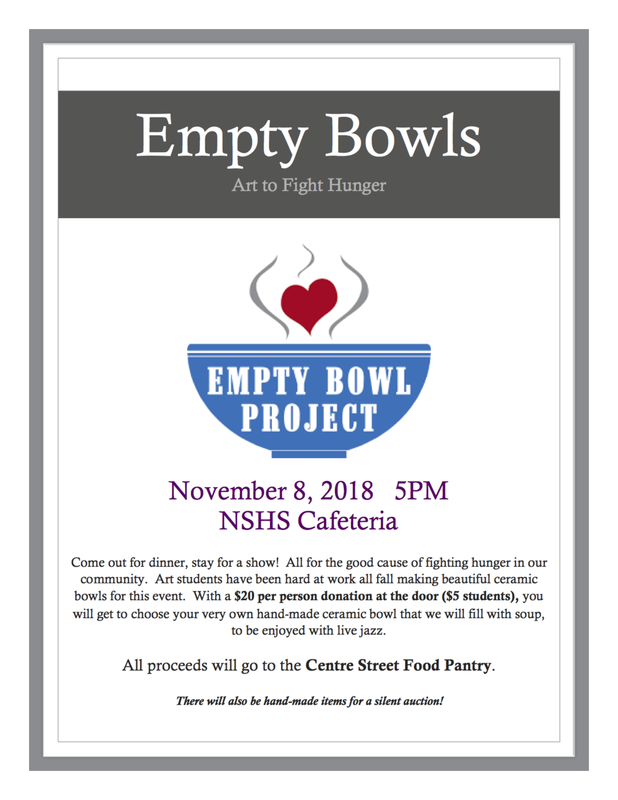 Ceramic students and NSHS arts faculty have made over 200 bowls during the month of October and we're ready to fill them with soup! Come join us on November 6th for a wonderful night of hot jazz, delicious soup, and of course fabulous hand-made bowls all for a great cause - the awareness of hunger in our community. All proceeds from the evening will go to benefit the Center Street Food Pantry. We're looking forward to seeing you all on November 6th at 6pm in the Student Center. Come join us for dinner and stay for a show!